This is a very engaging and entertaining novel based on the life of Grace Humiston, a crusading attorney in the early Twentieth century. The real Mrs. Humiston earned a law degree at New York University and later became the first woman ever appointed as a United States Attorney. Humiston, who used her legal skills principally on behalf of the poor and disadvantaged, was also known as a brilliant detective, particularly after she solved the case of a missing New York girl in 1917. 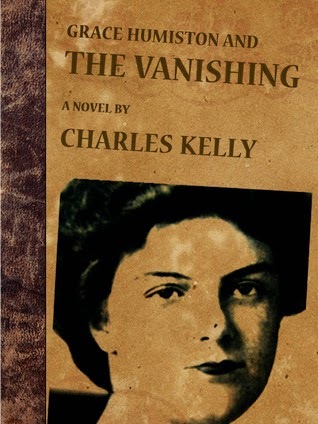 In Grace Humiston and the Vanishing, Charles Kelly has used the facts of that case to create a fictional investigation in which Humiston is persuaded to look into the disappearance of a young girl named Ruth Cruger. Grace's husband, who is also an attorney, worries about her safety and has urged her to focus her attention on the law and to forego the detective work. But Grace feels that she must take this case, in spite of her husband's objections, and she promises him that there will be little or no danger involved. Mrs. Huniston's principal assistant is a Transylvanian investigator named Julius Kron. Kron know his way around the mean streets of 1917 New York, and he is the principal narrator of the story. Through his eyes we watch the case unfold and we realize what a talented and determined investigator Grace Humiston can be. Ruth Cruger was last seen near the shop of a mechanic named Alfredo Cocchi, where she was going to have her ice skates sharpened. But Grace's attention is drawn almost immediately to the jewelry shop next door, which seems to attract a significant number of attractive young women like Ruth Cruger who come from wealthy families. Grace discovers that several other young women have disappeared in recent months and she becomes convinced that the two men who are principles in the jewelry story are running a con called the Uncle Game, in which the younger and more attractive partner seduces wealthy young women into eloping with him to his native Argentina. There he and his partner sell the women into sexual servitude. The police are of no help at all, and so Grace, accompanied by Kron, must take matters into her own hands and solve the mystery of the missing women. It's a difficult and dangerous mission, but it's also a very gripping story. In Grace and Tron, Charles Kelly has created two very well-drawn and engaging characters. He has also expertly set the stage on which the drama plays out, principally in the New York City of 1917, at a time when the nation was gearing up to enter the First World War. This is a book that will appeal to large numbers of crime fiction fans, even to those who do not generally read historical mysteries. A very entertaining and satisfying story.